Each month, Bakers for Builders thank the construction crew for their support of the hospital’s new building project. In addition to their hard labor, crew members have supported the project through their participation in various fundraising activities such as the radiothon with WKDD. 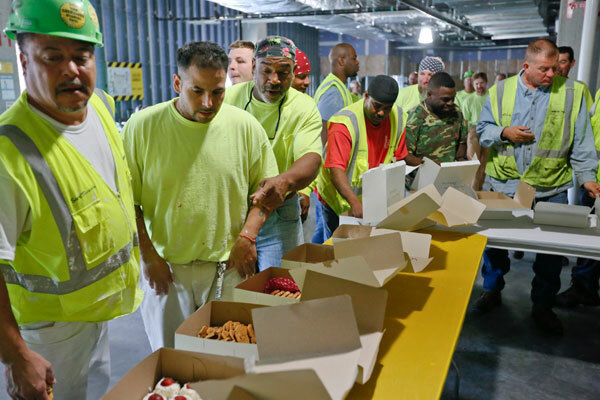 Dressed in hardhats, safety goggles and reflective vests, 15 Akron Children’s staff members arrived at the construction crew lunchroom recently carrying white bakery boxes full of cookies and cupcakes. 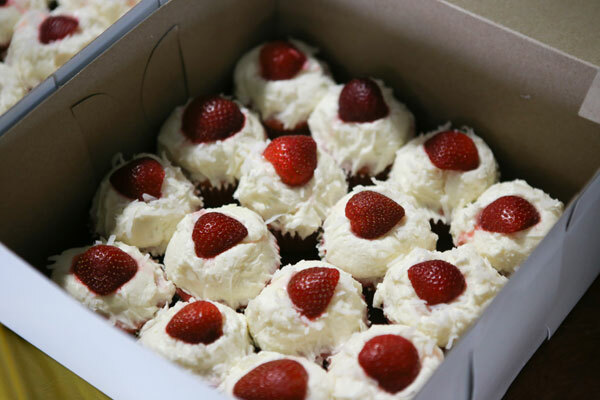 Crew members applauded and cheered their generous gesture, before descending upon the sugary contents of the boxes. While the first appearance of the Bakers for Builders group was a surprise, now the workers have come to expect these monthly visitors, who made their first delivery in April. The group was formed to thank the construction crew and local unions, who have embraced Akron Children’s culture while working on the hospital’s new medical tower. Akron Children’s administrative assistant Kelly Ott stepped in to help organize the effort with a call out to employees. Every month new volunteers make 3 to 4 dozen treats of their choice, including some who bake nut-free and gluten-free versions so no one on the crew is left out. 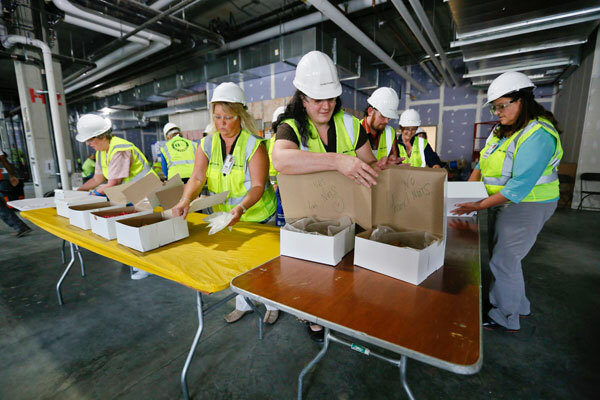 As an added reward, after the volunteers deliver their goodies in the lunchroom, which is located on the construction site, Marge gives them a tour of the new emergency department, the most complete section of the new building. And as the bakers tour the site, happy construction workers shout out their thanks and make “Cookie Monster” noises, to the delight of the volunteers.